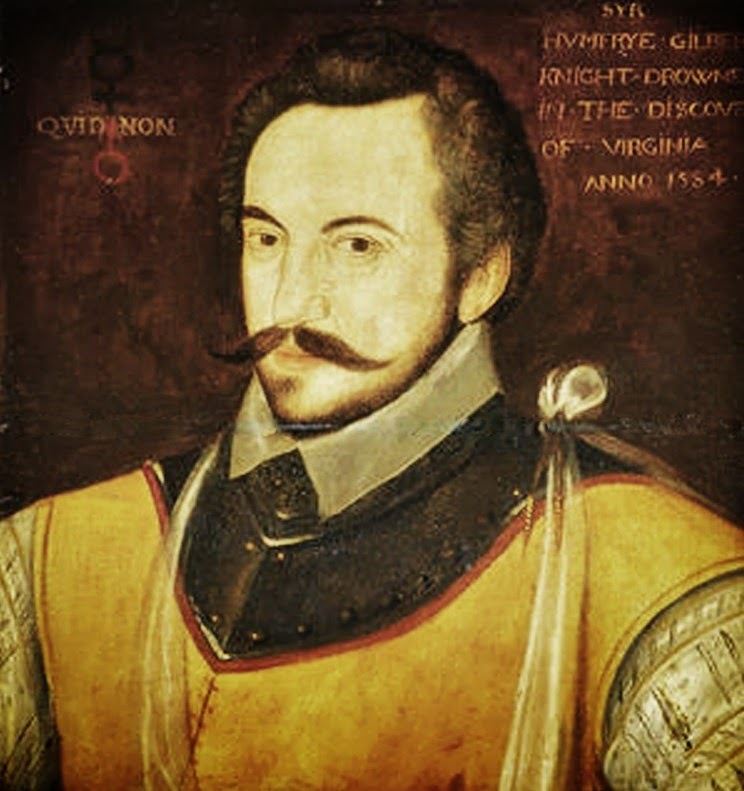 Sir Humphrey Gilbert (1539-1583) was an English noble and Member of Parliament, soldier and explorer. He was the half-brother of Sir Walter Raleigh and was knighted for his colonisation work in Ireland. He theorised that America was Atlantis, which was partially submerged allowing the creation of the Northwest Passage. His views were expressed in his 1566 Discourse of a Discoverie for a new passage to Cataia(China) (a) . *[However, the archaic spelling in it make it a difficult read.